BRE Trust, the largest British charity to deal with research and education in the built environment, has announced that it will continue its Centres of Excellence at the Universities of Strathclyde and Edinburgh. BRE will continue to support the future of important research undertaken at the BRE Centre for Energy Utilisation at Strathclyde, and the BRE Centre for Fire Safety and Engineering at Edinburgh. At Strathclyde, research areas involve energy supplies in future cities, energy demand management and low carbon buildings. Research at Edinburgh includes building fire response modelling and the manufacture of new design, materials, structures and fire protection systems. It was also announced that Professor Joe Clarke and Professor Albert Simeoni have been appointed as the new Chairs of the Centres of Excellence at Strathclyde and Edinburgh Universities. 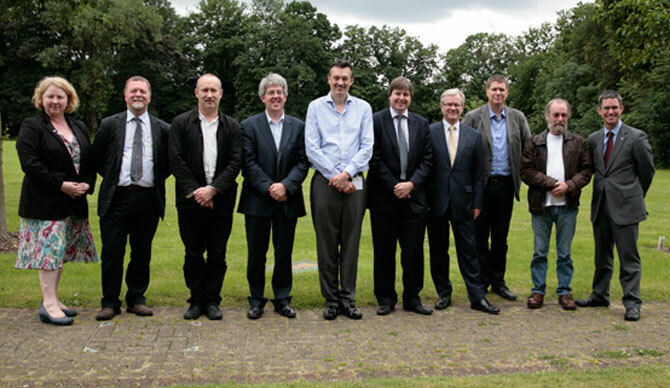 In the UK, the BRE Trust has teamed up with five University Centres of Excellence. Since the educational investment scheme was launched in 2006, has supported more than 140 PhD studentships and 75 staff and invested in £40 million research portfolio. Posted in News and tagged bre, bre trust, strathclyde. Bookmark the permalink.